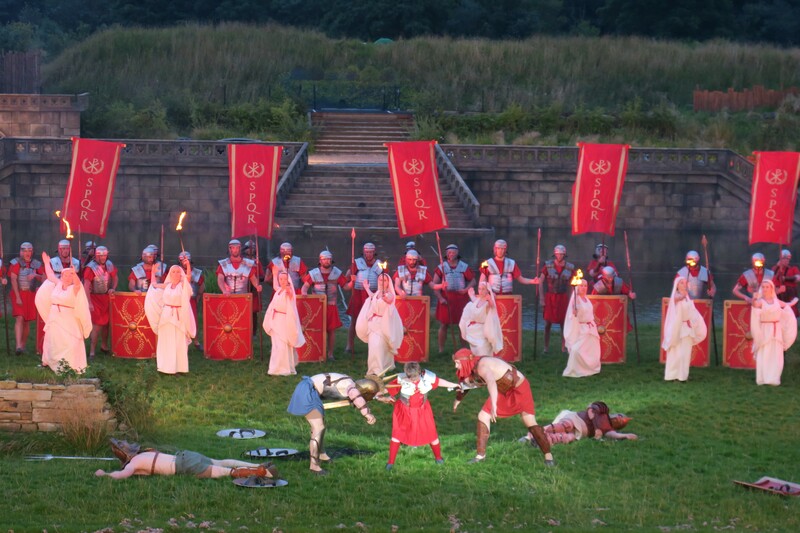 Kynren was the main reason I wanted to visit County Durham in the summer. 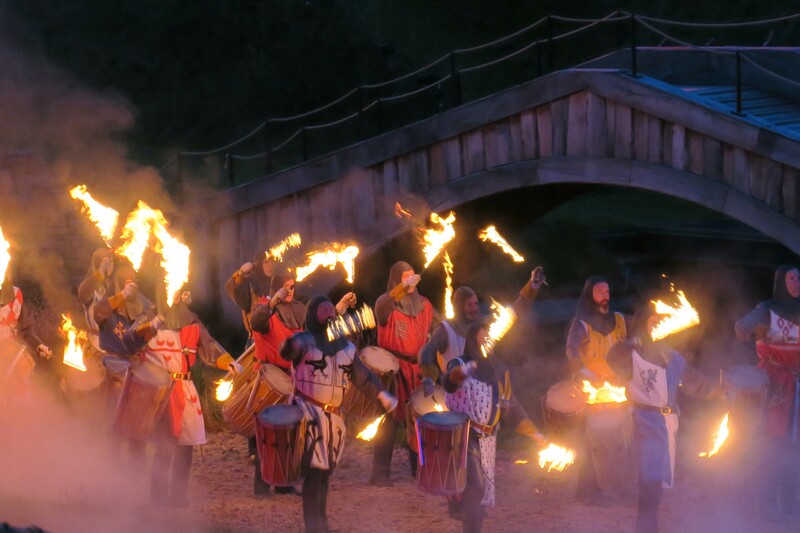 Having read about this spectacle with a cast of 1,500 re-enacting 2,000 years of history in 90 minutes I was hooked. 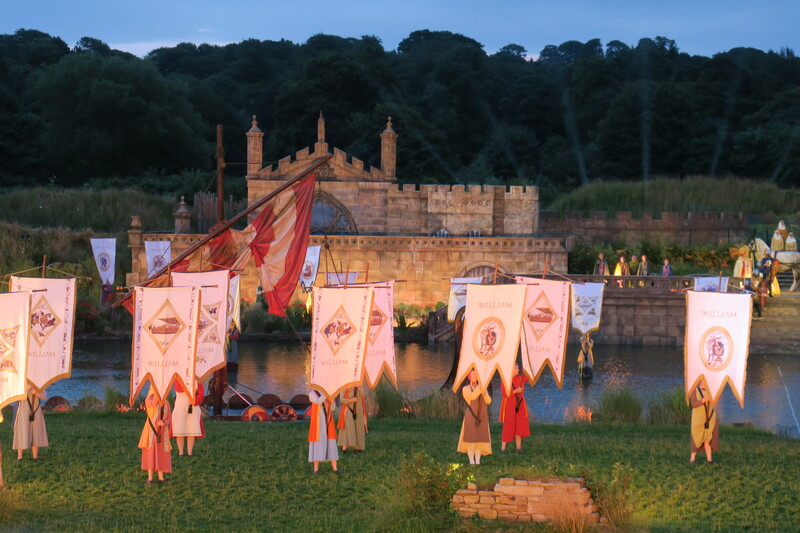 They call it “an Epic Tale of England”, it takes place on weekend nights in August and September and as our trip was a bit of a last minute thing, I wasn’t sure if tickets would still be available. 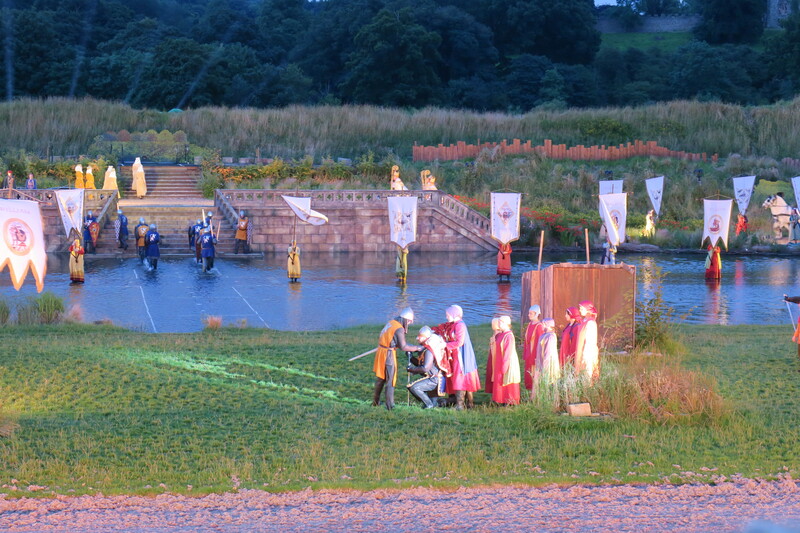 No problem with that, we snapped them up and planned the rest of our visit around Kynren. 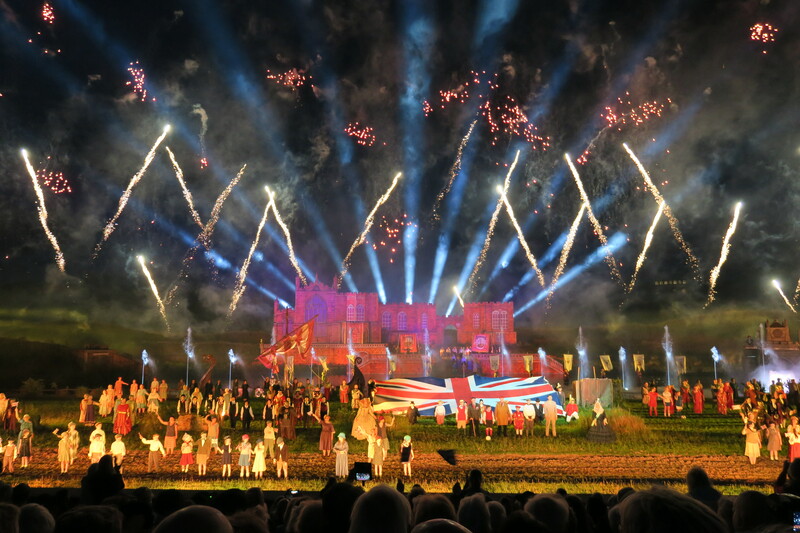 The whole thing is live and outdoors and has been compared to an Olympic opening ceremony in terms of its proportions. I’ve never been to one of those so can’t compare but this might just have been one of the best shows I’ve ever seen. All three of us were in firm agreement on that. We pre-booked our parking in Bishop Auckland and also pre-booked and paid for the bus to get to and from the site where the show is staged. The car park was easy to find, we set off dressed in comfortable shoes, warm clothes with layers (it is the English summertime here) and brought raincoats with hoods. 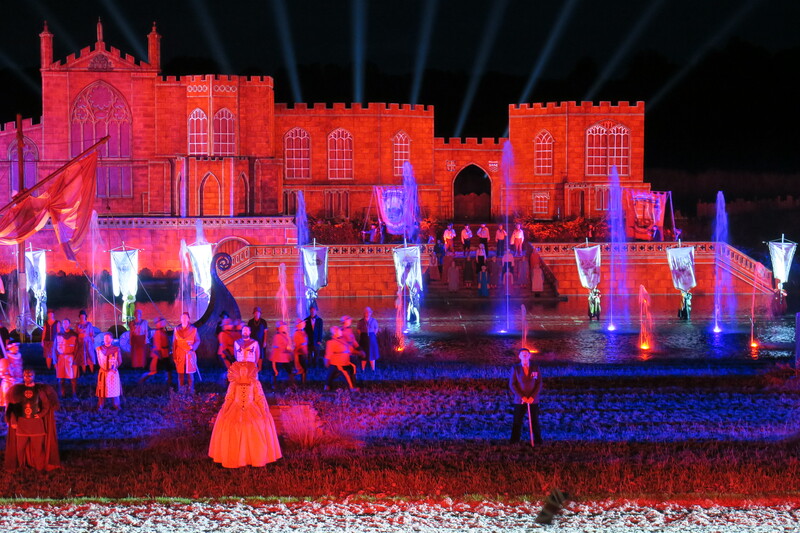 The show is performed outside and not under any cover, it goes on whatever the weather and umbrellas, due to their view limiting possibilities are not allowed. We also took no bags – handbag contents have to be emptied into a clear plastic bag and no backpacks are allowed. We stumbled upon Clems Fish and Chip Restaurant in Bishop Auckland. I wasn’t sure what food offerings would be available on the Kynren site so we decided to dine here. It was early, we were the only people there but the food was good. 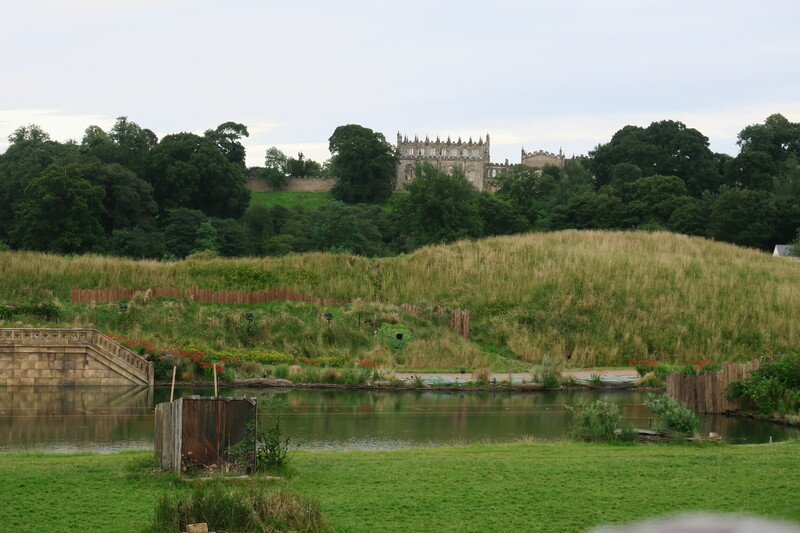 Son was not in agreement with us, but Husband and I decided since it was a beautiful evening and we had plenty of time, we would be better off walking off those fish and chips and not taking the bus to Kynren. In hindsight I wish we hadn’t booked that bus, it is only 20 to 30 minutes easy stroll from the town to the site and we ended up walking back afterwards as well. 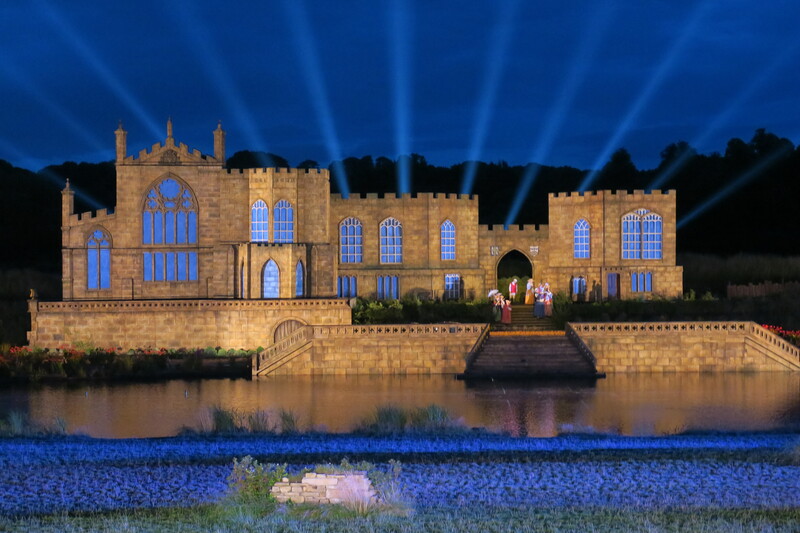 The show is staged on a disused golf course with Bishop Auckland Castle in the background. There are volunteer guides in the town and along the route, everyone was so incredibly friendly and pleasant, the welcome was second to none. The ticket scanning, security and entrance area was also super efficient, no waiting or delays at all. This is incredible when you consider the site can host 8,000 people and everyone working there is a volunteer. A whole host of food trucks inside looked very good – we were still stuffed with those fish and chips so didn’t sample anything but it smelt delicious and seemed reasonably priced. Son was torn between an ice cream for his treat or a bag of boiled sweets. In the end he went for a candy striped bag of sherbet lemons from a VW Camper van turned sweetshop. We took our seats in what they call the tribune. We opted for the posh seats – only about £5 more but well worth it. I don’t think you’d get a bad view anywhere but what you get for the extra cash is a padded and extremely comfortable seat. Sounds like a small thing but take it from me, it was great. The seat was a lot warmer than the other plastic flip down seats. Space was a bit on the snug side and you did have to cozy up a little to the person next to you. Husband commented there were a few heads in the way and had the seats been more steeply banked this would have solved that issue. It wasn’t a big problem. The show started at 9pm. Starting time varies over the summer as it starts at dusk and ends in darkness. Our performance finished at 10.30 and I don’t think my eyes left that stage area for a second. 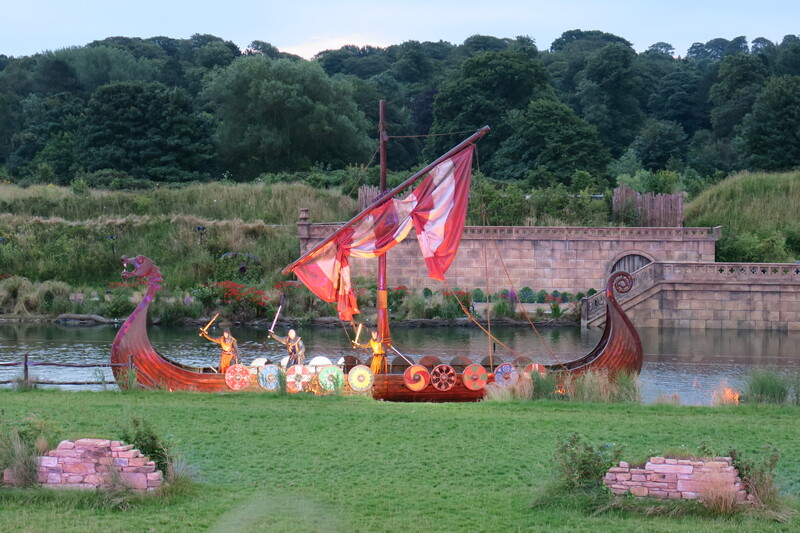 Son and Husband were equally enthralled, we loved every minute of the magnificent performance. The story centres around a local boy called Arthur who goes back in time and experiences the most important events in English history from the Romans up to World War II. Loads of famous characters make an appearance. St Cuthbert and the Venerable Bede (our Durham Cathedral trip before was very timely), Boudica, William the Conqueror, Queens Elizabeth and Victoria were all there as well as a life size Norman longship, a moving steam train and a host of different animals. The story is very much tailored to the area of Bishop Auckland and we saw some stirring scenes from their mining history and heritage. 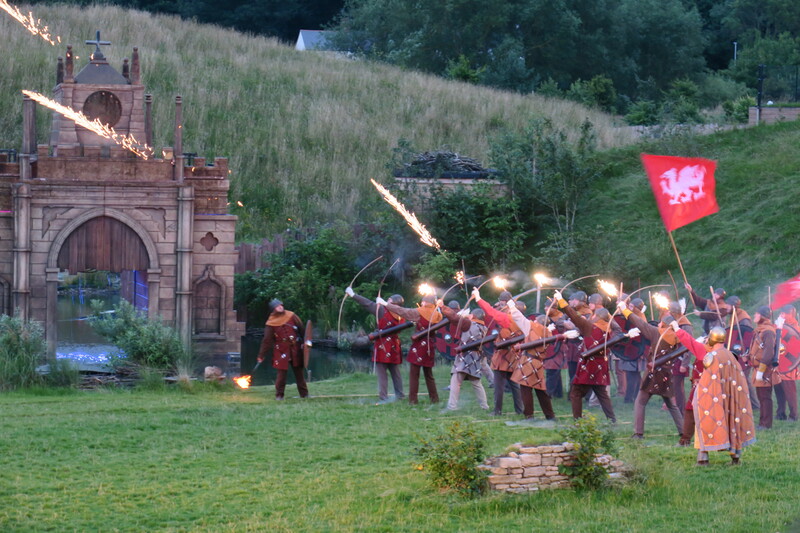 There were fight scenes with flaming arrows and galloping horses. The soundtrack is original and moving and the lighting and effects are incredible. The whole thing literally finishes with a bang and an outstanding fireworks display. 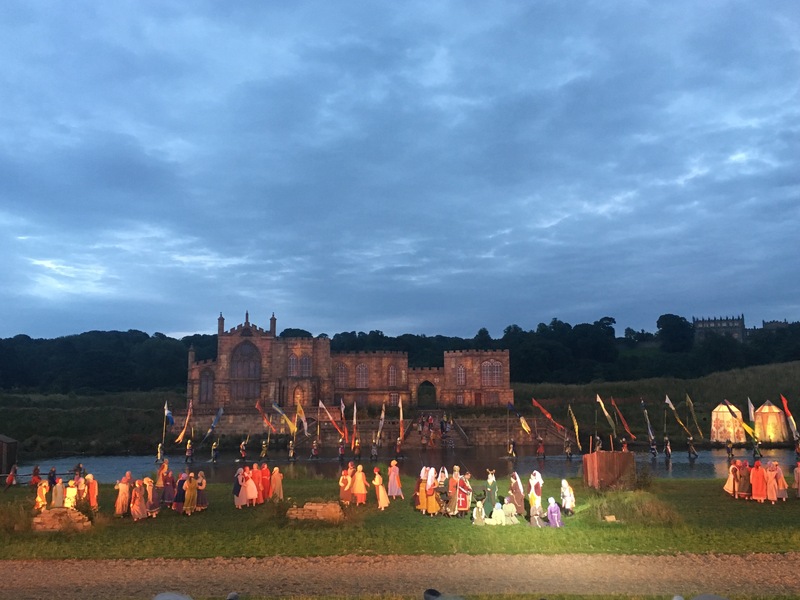 All of that is impressive on its own merits, what wowed me even more is the entire cast is made up of local people, again all volunteers they are professionally coached and choreographed. Their ages range from 5 to 85. 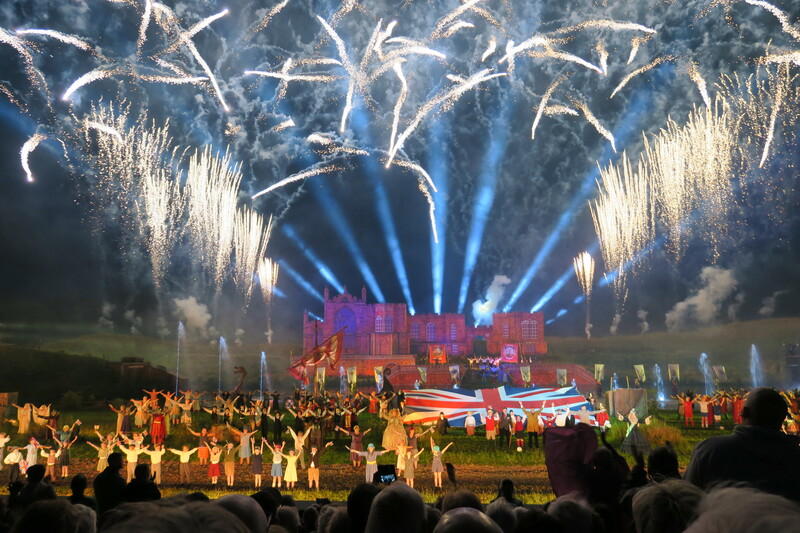 Kynren is run by a charity whose aim is to regenerate Bishop Auckland and the surrounding areas. We left buzzing about the show. 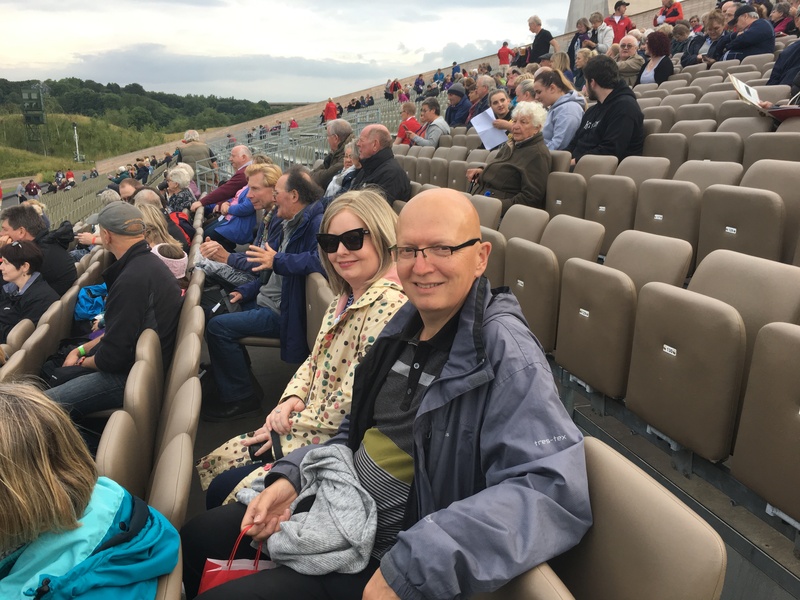 Our enthusiasm didn’t dampen the next day and we told just about everyone we met and our family and friends that they must go and see Kynren. No traffic hold ups leaving the car park and Bishop Auckland, we were back at our hotel before we knew it. I am still puzzled how we could book the best seats in the house just two weeks before the performance. There were also plenty of empty seats, albeit in the cheaper seating area but this is an amazing show, the tickets should sell out the moment they become available. I would go back next week to see it again if I could. Son loved it so much he wants to move there and become a part of it. Praise indeed…. Joy, what an amazing production and to pack it all in 90 minutes is no small feat! The costumes and sets look amazing as well! 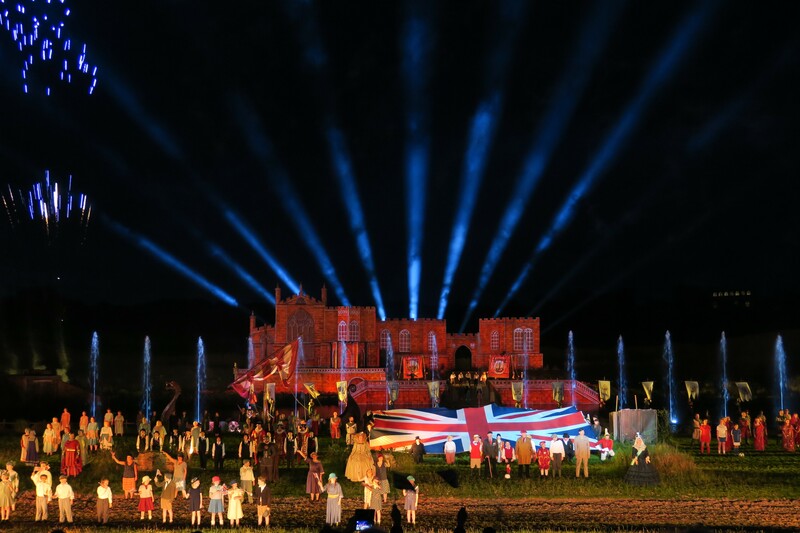 I love outdoor staged event and Kynren looks fabulous! It was wonderful Pam, just everything about the whole thing was spectacular. 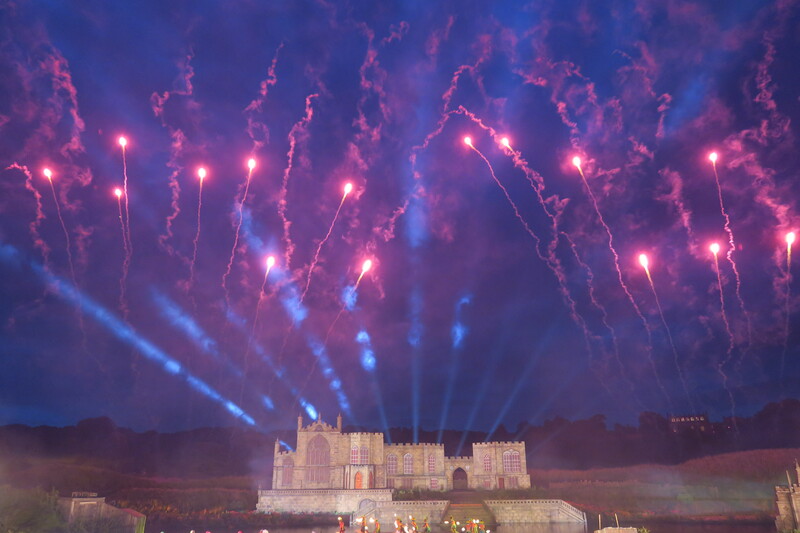 I love outdoor events too – thankfully with our unpredictable English weather we had a beautiful evening to enjoy it. Wow! That looks so cool. Thanks for sharing the pics and your experience. It was wonderful, a real spectacle from start to finish. Thank you for reading and commenting. 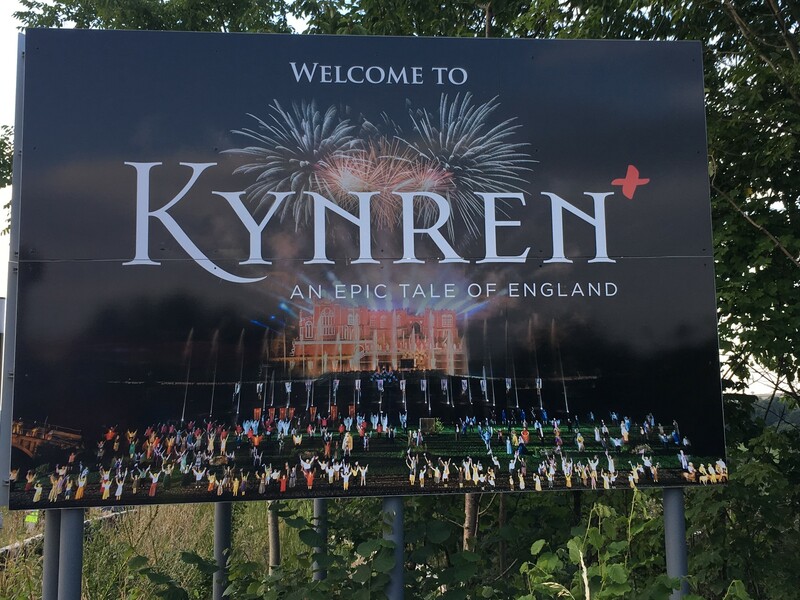 I can see why Kynren was on your list of places to visit. I remember reading about it last year and really wanting to see it. When the opportunity came up this summer we grabbed it – so glad we did! What a find! Am forwarding the link to family in England. It was incredible – one of those kinds of performances you don’t often see. We loved it and have been telling everybody we know about it – hopefully your family might get the chance to visit and see it. Great you witnessed this event! It is so realistic as if you traveled back to time…. It was incredible – such an amazing history lesson! 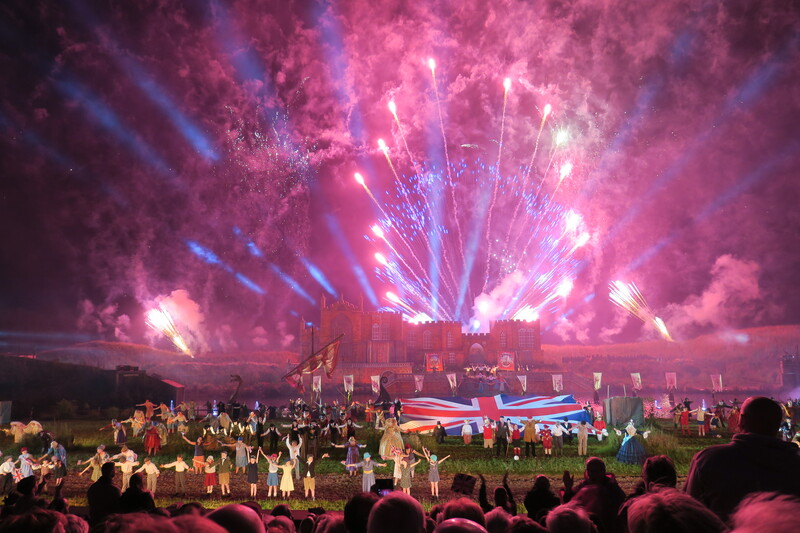 It was incredible – the photos don’t do it justice really – the atmosphere, music and just everything was spectacular. This looks absolutely amazing! I have never heard of it but will certainly look out for it in future years. 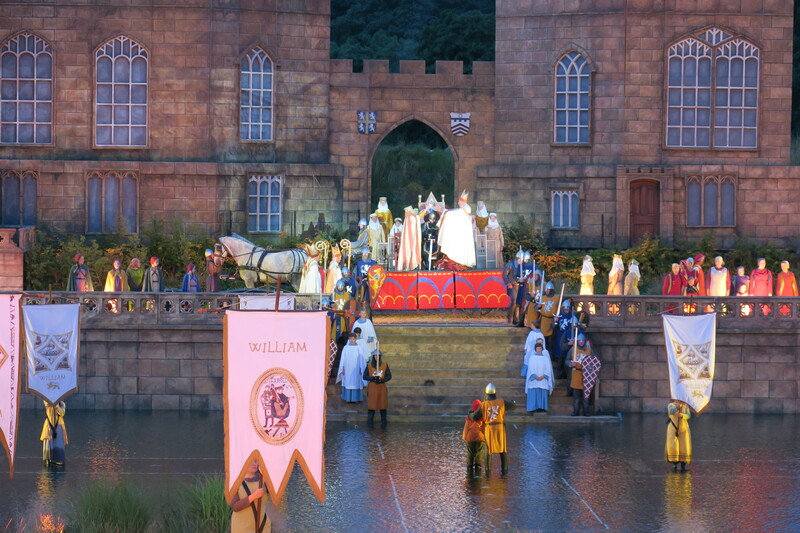 When we were in Canada we went to an outdoor Passion Play which was similarly well organised. Do look out for it Anabel, we loved it and I couldn’t recommend it highly enough. It looks wonderful! You and your camera did very well with the low light, and action! What camera are you using? The noise control in those low light images looks pretty great too. It was incredible – I could rave about it forever, we loved everything about it. It’s funny, I had a Canon EOS but bought a new camera a short while before this trip – a Canon G3X so a downgrade really. This was the first trip we tried it out and I think it did quite well! What a splendid production Joy. 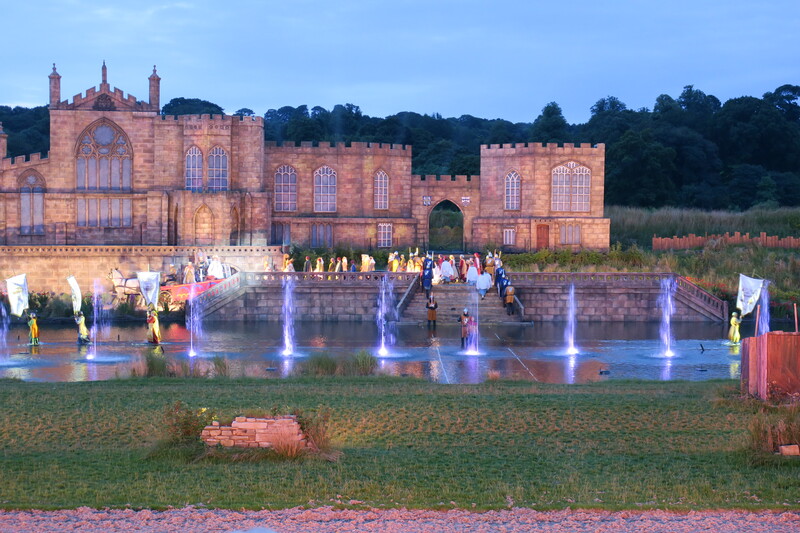 I’d never heard of Kynren until I read this post but it sounds amazing and somewhere we would enjoy attending. 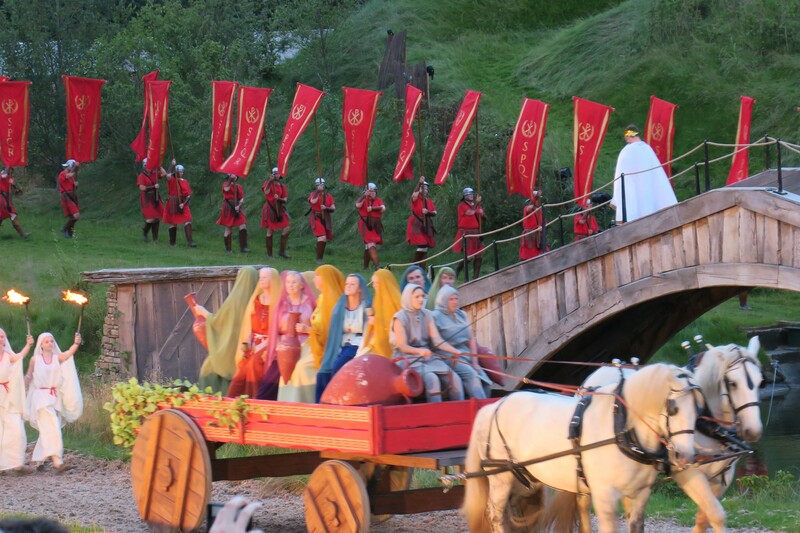 Both the sets and the costumes look superb and what fun to watch it outdoors. I think I would have opted for those seats too and wrapped up well. Somewhere else for us to visit one day!! M.
It was wonderful Marion, just everything about it was amazing. I was excited to see it but it hugely exceeded all of our expectations. Obviously with our summer weather you never know what you’re going to get, we lucked out with mild temperatures and a lovely evening, I think in the rain it might not be quite so much fun. That said though the show is amazing – the fact everyone is a volunteer too – and definitely go if you get the chance! I showed this to Kim, she remembers Clem’s fish and chips. She enjoyed the post. Did the show mention Brexit? No mention of Brexit – maybe that will be epic tales of England part 2!! Is Kim from this area? She is from Bishop Auckland so enjoyed your post. When we visit we stay at West Auckland Premier Inn. What a wonderful experience! 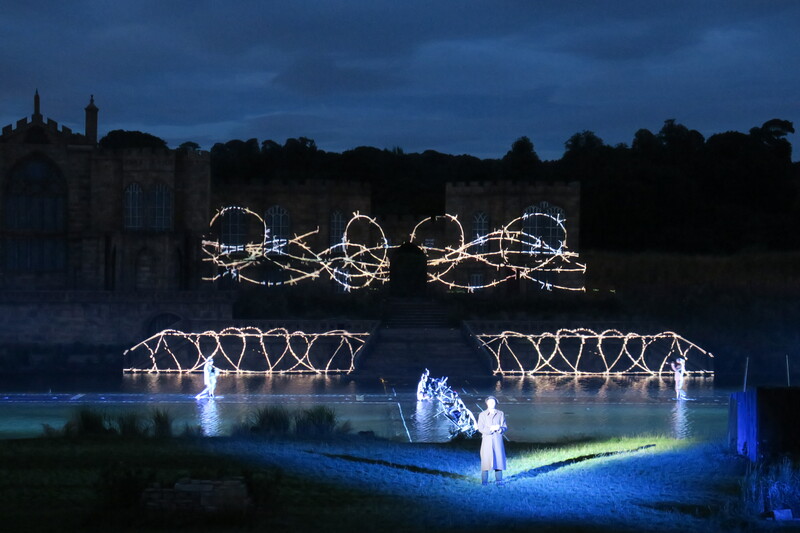 I have been to many outdoor productions in my time but never something looking that epic and spectacular. I would love to see something like that. It was incredible Laura, I’ve never been to anything this impressive before. Apparently it was inspired by a similar type production in France but it was something very different for us. I’ve never heard of this before. It looks fantastic! 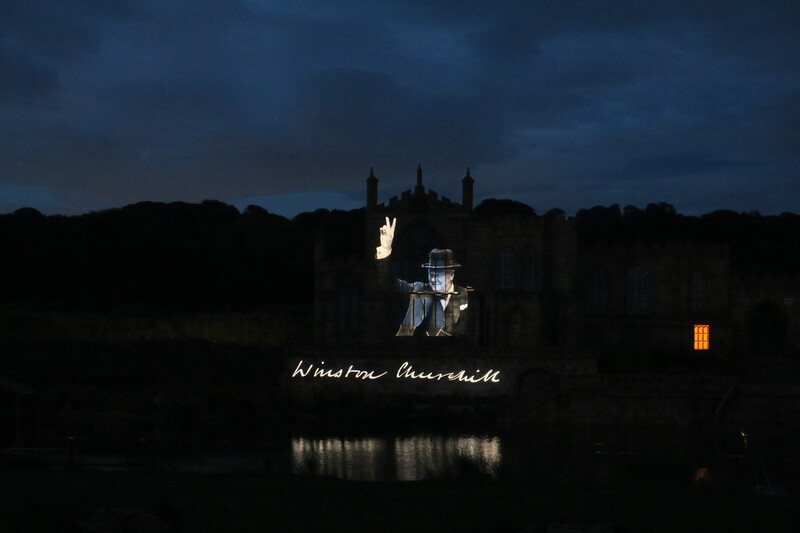 It is the most spell binding and spectacular show – we loved it. It was Terry and so exciting to watch. It was wonderful and yes – they managed to get through an awful lot of history in that time. It was incredible – from start to finish. It really was a mind blowing show – unlike anything I’ve ever seen. Oh wow! This looks MAGNIFICENT! I wish I could see this live! It was just incredible Reggie, one of those shows that is so special and has you thinking about it for a long time afterwards. That looks like one amazing show! It really was George – all those years of history really came alive. Wow it looks fantastic! Those fireworks too, I can just imagine everyone’s jaws dropping. It was just incredible, we loved the show from start to finish and the fireworks at the end were breath taking. 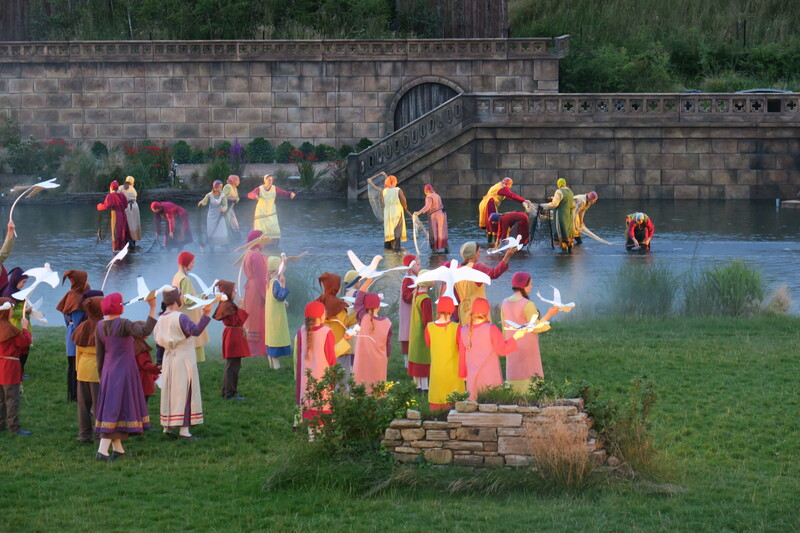 Never been to Oberammergau for the passion play Rosemary but would love to one day!! This was great, I’d read about it last year and it instantly appealed so when we were able to squeeze in a visit to the area in the summer I definitely wanted to go. 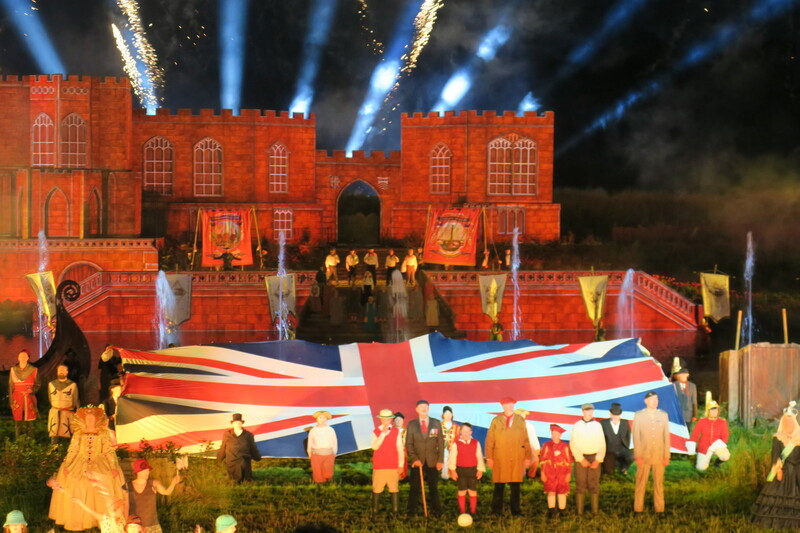 We all loved it, the show was spectacular from start to finish, it’s such a great way of getting local people involved and reinvigorating this area. Yes the idea of reinvigorating the area is such a good one Joy – haven’t heard of this show before but will now look it up. My mum went to Oberammergau in 1960 (before I was born!) but I’ve never been – it’s supposed to be an incredible experience! I’ve never heard of this but fascinating! 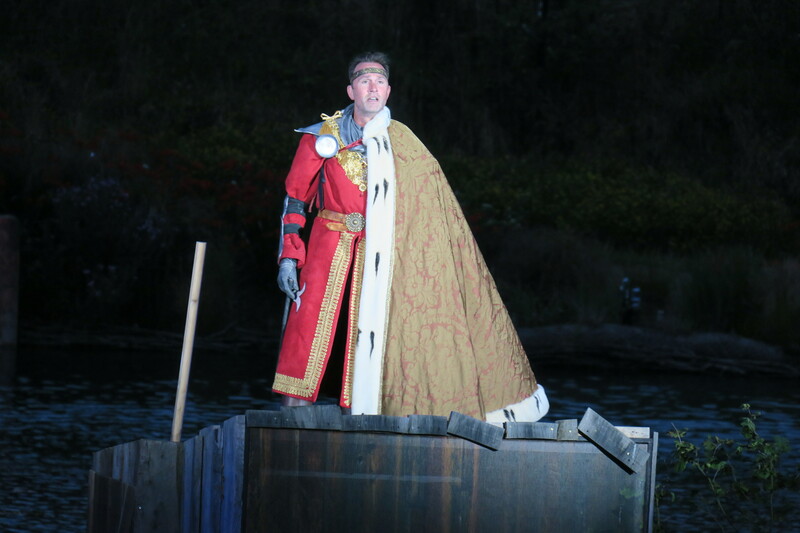 And to think the cast is made up of locals…so impressive. Glad you were able to get tickets! 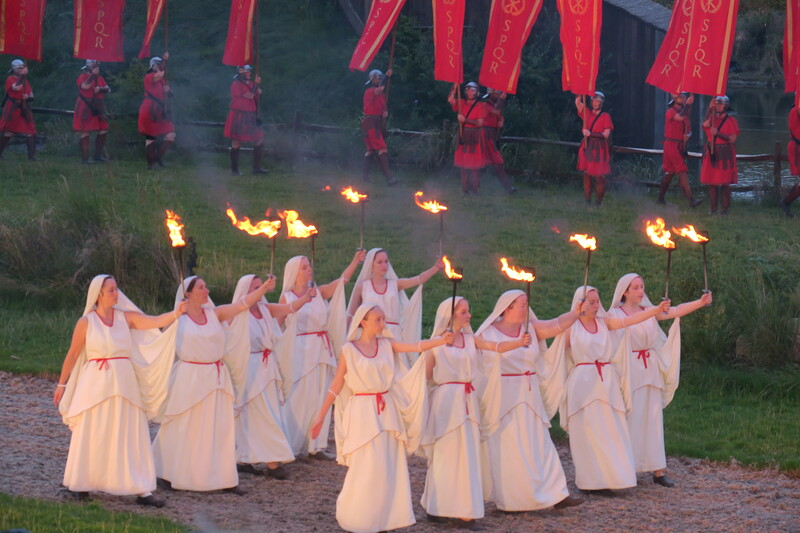 I loved that these were locals and not professionals – it was wonderful and a real spectacle but that made it even more special. 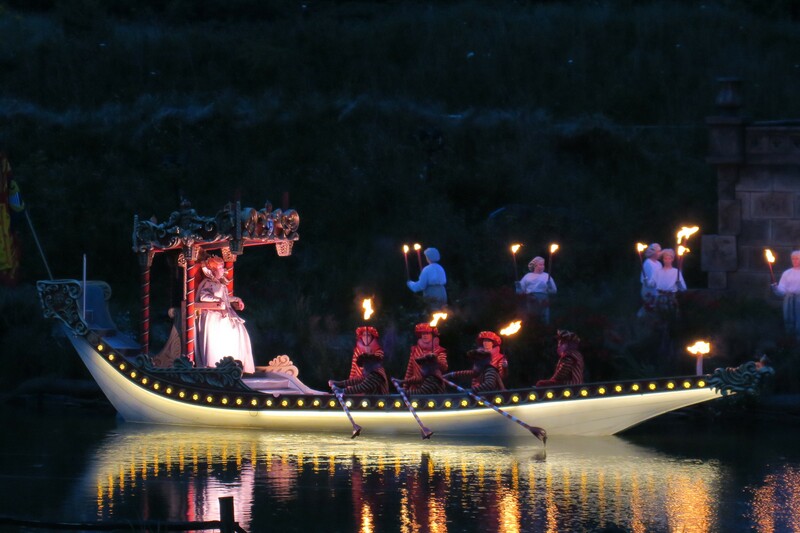 Looks like a spectacular show and a very fascinating experience! And, what a beautiful open air stage! Stunning pics. It was really incredible, pictures don’t really do it justice with the fireworks and wonderful atmosphere. An amazing show to experience. It was a spectacle from start to finish, I couldn’t enthuse about it enough! That looks like an amazing performance! I can’t believe they are all volunteers. It was so professional, everybody from the people at the gate to those on stage was incredible. The show was one of the best organised and most spectacular things I’ve seen. Wow I simply love England for its rich and longstanding history! The performances looked so spectacular! It was incredible, so well done with amazing effects and lighting. History came alive in the best possible way for us that evening.